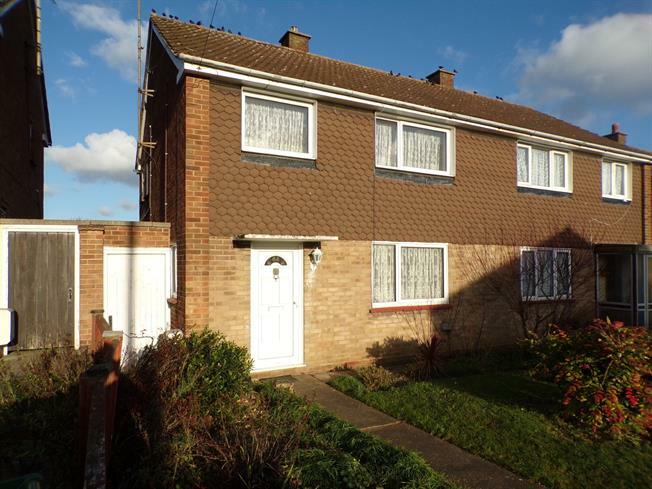 3 Bedroom Semi Detached House For Sale in Braintree for Guide Price £240,000. Three bedroom semi detached property requiring some cosmetic updates, but having recently had new carpets throughout and re-decorated. The good size reception rooms and bedrooms are typical of a property from this era. There are two separate reception rooms and kitchen to the ground floor, and three generous bedrooms and bathroom with separate WC to the first floor. The rear garden is made up of lawn and patio areas with fenced boundaries. There are two brick built storage sheds, and a gate leading to the front of the property. The front lawn is a planted area of grass, but would be ideal to use as a driveway and the majority of the neighbouring properties have done this. The modern and welcoming hallway offers access to the sitting room and kitchen, with newly laid carpets and a fresh coat of paint. The main sitting room is at the front of the property and is a generous size space. Newly laid carpets and a recently redecorated, this room feels modern and bright. There is also a glazed door through to the dining room. At the rear of the property with wonderful views over the garden, the formal dining room has recently been modernised with; smooth plastered ceilings, new carpets and a fresh coat of paint. Sliding doors can take you out on to the entertaining patio. Again at the rear, the kitchen is located next to the separate dining room, and may benefit from being opened up into a large kitchen diner. There are a range of fitted units and space for all white goods. To the side there is a door to the garden. The master bedroom is at the front of the property and offers; fitted wardrobe, airing cupboard and newly fitted carpets. At the rear, the second double bedroom also offers fitted wardrobes and new carpet. To the front and over the stairs is the third bedroom which is a comfortable single room, with a large storage cupboard over the bulk head. Currently separate from the WC, this traditional style layout would benefit from being knocked in to one larger room. As above, this separate WC would be better suited if it was made to be incorporated into the main bathroom. The rear garden is made up of lawn and patio areas with fenced boundaries. There are two brick built storage sheds, and a gate leading to the front of the property. The front lawn is a planted area of grass, but would be ideal to use as a driveway and the majority of the neighbouring properties have done this. Currently the owners park at the front of the property.